School of Thought: Amanda Aiken is an educator on a mission. A flurry of young, bright people have migrated to New Orleans over the last decade. And no industry represents a greater influx of talent than the education sector. New Orleans has become known as having one of the most innovative school systems in the country, and ambitious young educators with a passion for children have continued to find New Orleans as the best place to serve their mission, fulfill their passions and allow their careers to flourish. Amanda Aiken, a native of Hopewell Junction in upstate New York, is recognized as one of the city’s most promising young educators. Aiken is a traditionally trained educator, having received a Bachelor of Arts in Education from Spelman College. She later went on to Columbia University, where she received her master’s degree in curriculum and instruction. Aiken has worked with kids during her entire career. Her very first job as a teenager was at a daycare center, and she was a teacher at her church’s Sunday school. After completing her master’s degree, she began teaching 4th grade in Gwinnett County, Georgia, and, although her kids excelled under her instruction, she felt she was not fulfilling her true purpose. After years of following the educational reforms taking place, and, while she realized New Orleans had great challenges, she also believed it represented an amazing opportunity to make a lasting impact on kids — all while being on the forefront of innovation in public education. In 2011, she relocated to New Orleans to join New Orleans College Prep, a network of free, public charter schools committed to serving the most economically disadvantaged children. She joined the organization as an instructional performance manager at Sylvanie Williams College Prep. 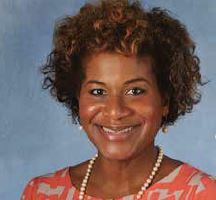 In spring 2013, Aiken became Principal of Lawrence D. Crocker Elementary School. She was charged with building a team and staff that would turn around one of the lowest performing schools in the city, starting that fall. After assembling a team of like-minded educators with a passion for kids and excellence, Aiken began the process of transforming the culture of the school. At the conclusion of the 2013/2014 school year, Crocker was recognized as having the highest performance growth in the city. Aiken’s work has not gone unnoticed. At last year’s Millennial Awards, she was acknowledged as the outstanding millennial in education. The Crescent City Chapter of the Links also recognized her as a Champion for Change. Going forward, she says her ultimate goal in life is to “smash the school-to-prison pipeline.” And hey, we can all raise a glass to that!